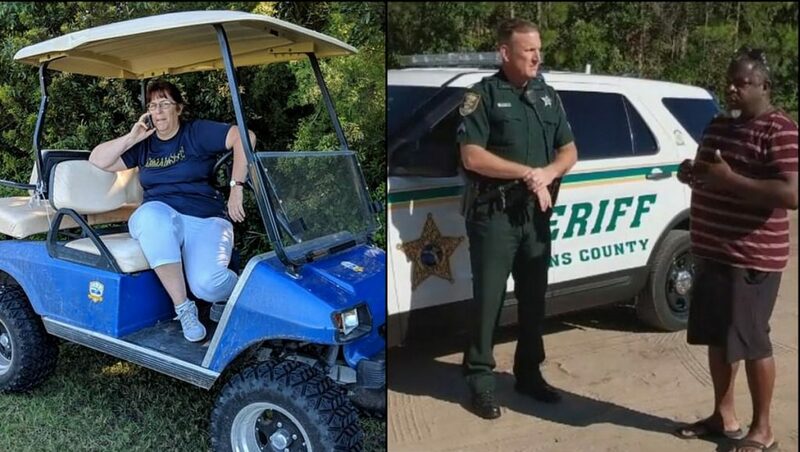 In the latest episode of “White folks calling the calls on Black people for being Black,” a Florida woman reportedly dialed 911 to report a Black man who was coaching his son from the sidelines during a youth soccer game at a park in Ponte Vedre, Fla. According to ABC News, 47-year-old Gerald Jones said he was shouting to his 13-year-old son from the sidelines to not argue with the game referees, when a White women rolled up on a golf cart and threatened to call the police on him. Jones claimed he even volunteered to leave the park, but the woman, who reportedly served as a field marshal for the game, still called the St. John’s County Sheriffs Department on him. Ginger Williams, a White mom of one of the other soccer players on the same team, claimed she witnessed the whole scenario and recorded it with her cellphone. She later posted the video on her Facebook page and captioned it “soccer while Black,” according to ABC Sports. Williams also nicknamed the field marshal “Golfcart Gail.” Williams backed up Jones’ claim that he was only instructing his son not to argue with refs. Jones, whose son is biracial, told ABC Sports that he believes he was being racially profiled because the field marshal had asked a White parent that was arguing with refs to leave without calling the police on that parent.